VOLUNTEERS NEEDED for the Friday (set-up) and Saturday and Sunday of the sale. With YOUR support we can provide hundreds of Cambodian Children with Bicycles to get to school! Lisa McCoy is a Rotarian from Gravenhurst, Ontario. She worked 23 years in the Public Library field. After having extensively traveled around the world, she decided to give worth and meaning to her travels by volunteering her efforts in aid of those less fortunate than herself; particularly the children and landmine survivors of Cambodia and the refugees of Burma. Lisa participated in disaster relief efforts in the aftermaths of the 2004 Boxing Day Tsunami, Cyclone Nargis on the Thai-Burma border and Typhoon Ketsana in Cambodia. She is the executive director of the Canadian non-profit organization 'A Mine Free World Foundation'. In 2009, she spent 6 months in Cambodia where she attended the grand opening of The 'Muskoka School'; a 6-room rural school funded by the citizens and Rotary Clubs of Muskoka. 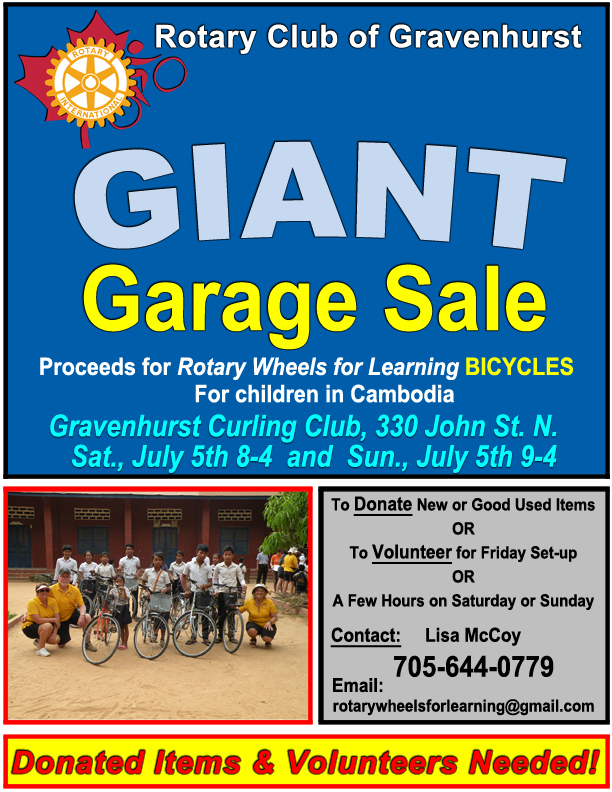 She is the Field Coordinator for Rotary Wheels for Learning - an international program of the Rotary Club of Gravenhurst, Ontario, Canada, District 7010. In the past 2 years, close to 2,000 bicycles have been distributed to needy students in Cambodia. Previous Rotary Wheels for Learning Bicycle Distribution Trip 2014 Report and News about our 2015 Distribution in Cambodia! 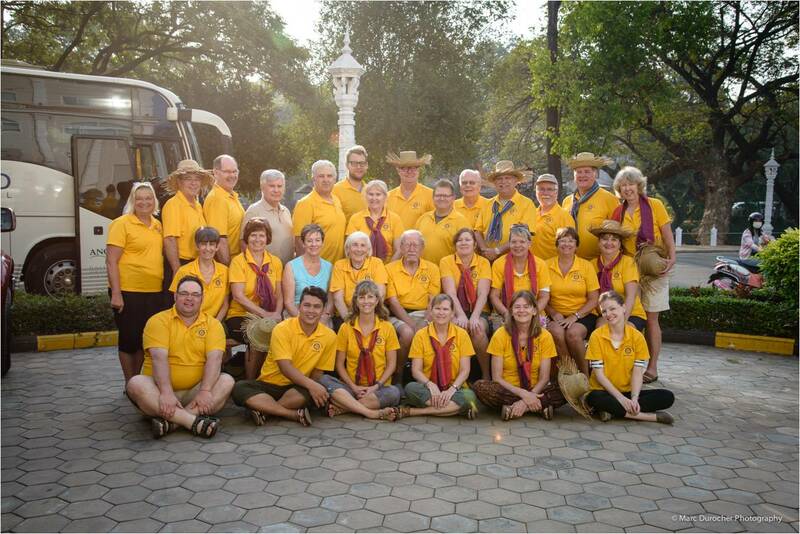 Rotary Wheels for Learning Bicycle Distribution Trip 2014 Report and News about our 2015 Distribution in Cambodia!